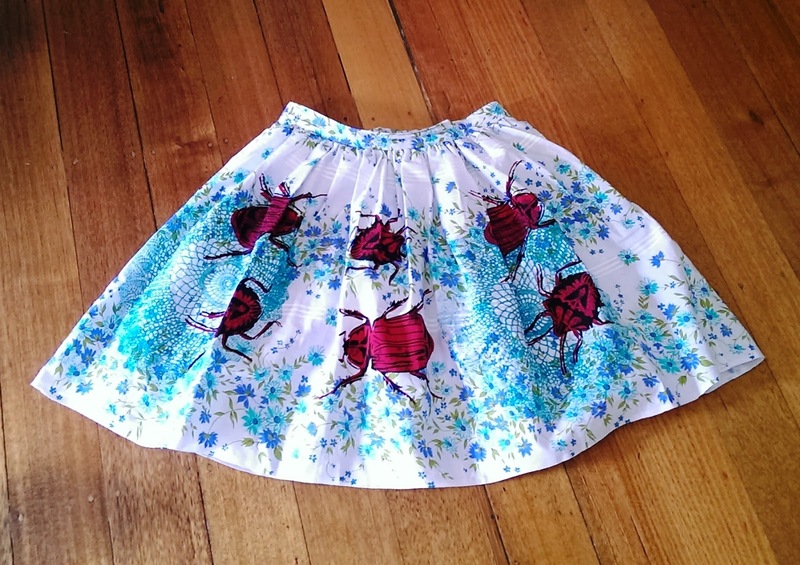 A few months ago, I published a blog post in relation to bug printed fashion, after a skirt I purchased from Upcycled Designer Rebecca of Little Brown Dog. 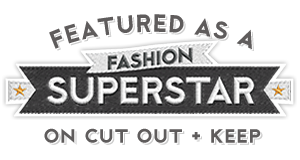 How would you describe your clothing designs? My aim is to create one of a kind pieces in classic, easy to wear shapes that sit outside the main stream quick turn around fashion seasons, pieces that won’t date, that can be worn throughout the year with bare legs and sandals in summer or tights and boots in winter. 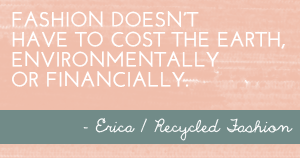 Why is upcycling important to you? * Firstly because creative reuse is how I grew up and how I live. * I have a pretty much unused degree in Environmental Management so making from pre-owned materials references this and makes me feel like it wasn’t a complete waste of time. * There is an abundance of unused materials sitting around in op shops, vintage shops and in the back of sewing and linen cupboards and I’m trying to make a small dint in this excess of fabric rather than purchasing new and feeding into the established consumption model. * Finally because I love the challenge of only using pre-owned materials, and finding the potential in discarded materials. Where do you obtain your materials from? I source pre-owned materials from op shops, vintage sellers (mostly on Instagram) and the occasional garage sale. I’ve also been the fortunate recipient of other peoples sewing cupboard clear outs. The only new items I use are things like zips, elastic and of course screen printing ink, which I buy from a couple of small local shops (I try to avoid the big fabric stores as much as humanly possible). When did you learn to sew and screen print? I learned to sew with my Mum and my Great Grandmother when I was in primary school and I used to make strange soft toys and decorated pillowcases for my besties birthdays and Christmas presents. I had my first go at screen printing at an after school care centre when I was about twelve and have been hooked ever since (this was used in the pillow case making too in what 14 year old me thought was an awesome screen print and appliqué combo). 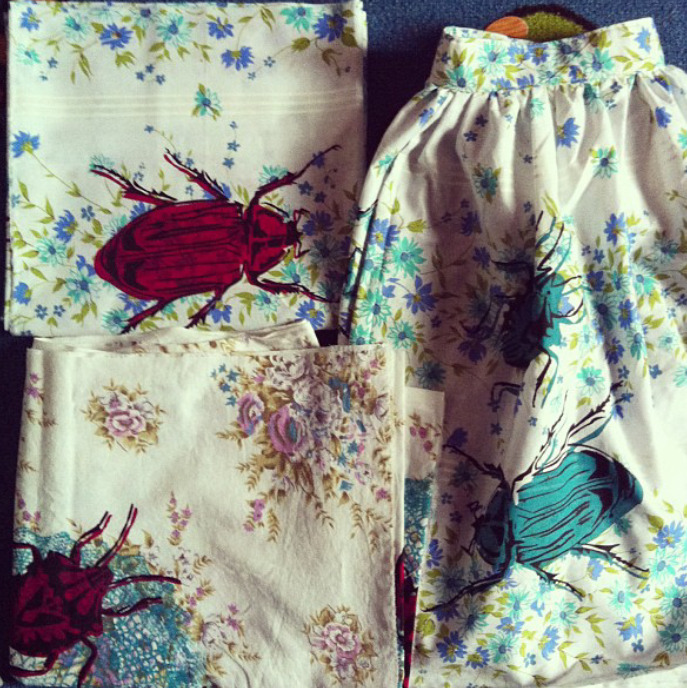 Where would you say you get your creative inspiration from, particularly with your wonderful bug prints? I am always striving to make pieces which will stand out from the current trends (no woodland creatures or pineapples here – not that there’s anything wrong with them, but it’s just not my thing). 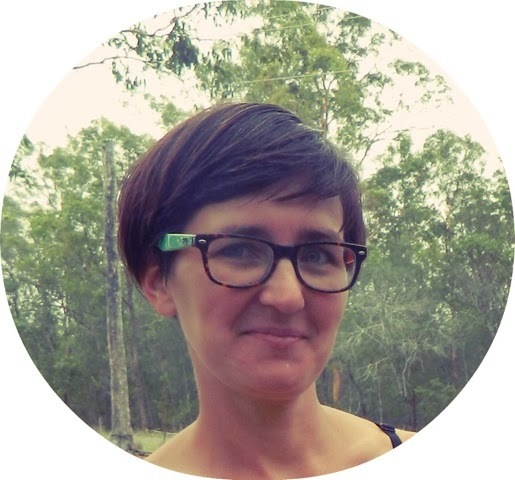 And if I had to try and put it into words I draw inspiration from the natural world and what’s going on around me for example the vegetable prints were inspired by the fantastic local food co-op I am involved in and the bugs well…. I just love bugs especially Christmas beetles and cicadas. Of your past or current designs, which is your favourite piece so far? 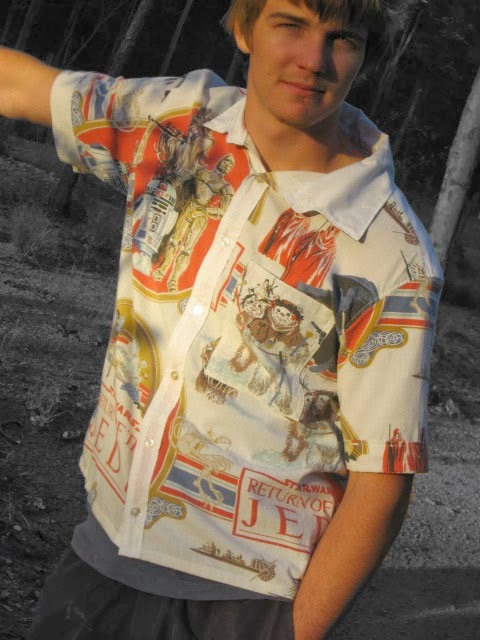 It was too hard to pick just one favourite so from the past it’s this men’s shirt made from a vintage Star Wars bed sheet. 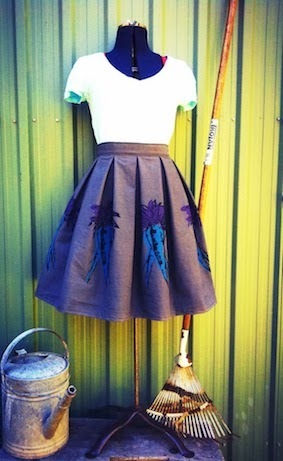 And from the last year my favourite design is the home grown harvest box pleat skirt. Your best bet is my etsy shop http://www.etsy.com/shop/littlebrowndoggy I intermittently attend the gorgeous Bris Style City Hall market but this will get trickier as the wee bub becomes mobile. And I am always happy to make sales via Instagram comments and paypal, which is how you found me Erica! Thanks Rebecca! Love your work.